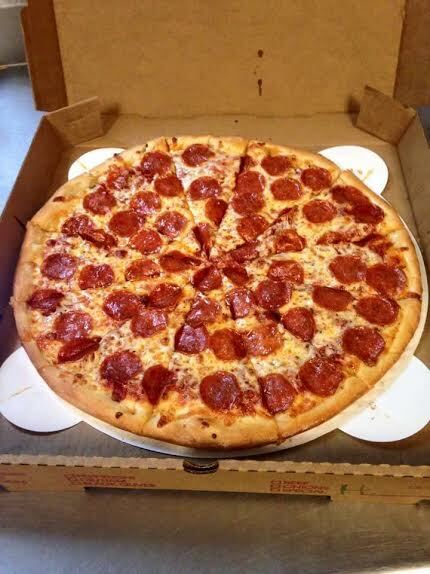 Here is a 16″ pepperoni pizza, just to give you an idea of the amount of topping that goes into each of our pizzas. Long name, great taste! 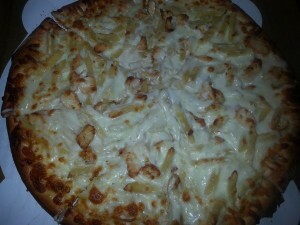 A layer of Alfredo sauce, a layer of chicken, a layer of penne noodles, and a layer of cheese. Simple, different and delicious! With Roma tomatoes & green olives. Add Feta cheese for a great taste for $1. Ricotta base with mozzarella cheese, onions, black olives, Roma tomatoes, banana peppers & feta cheese. Add spinach for $1. 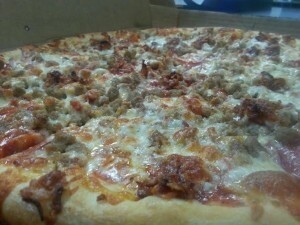 Loaded with Triple ground beef and Triple mozzarella cheese. Ground beef, bacon and plenty of cheddar cheese. Try it with mustard. Go Hawaiian! Extra Ham. Extra Pineapple with a sprinkle of cheddar. Homemade salsa, (diced onions, green peppers and jalapenos) your choice of chicken, beef, or steak. Cooked then topped with lettuce, diced Roma tomatoes & lots of cheddar cheese. Cheese sauce base mozzarella cheese, chopped chicken or steak, onions and green peppers available on request. *Add jalapenos for an extra kick! Pepperoni, baked ham, ground beef, Italian sausage, onions, mushrooms, black olives, green peppers and extra Grande’ cheese! Bacon on request. 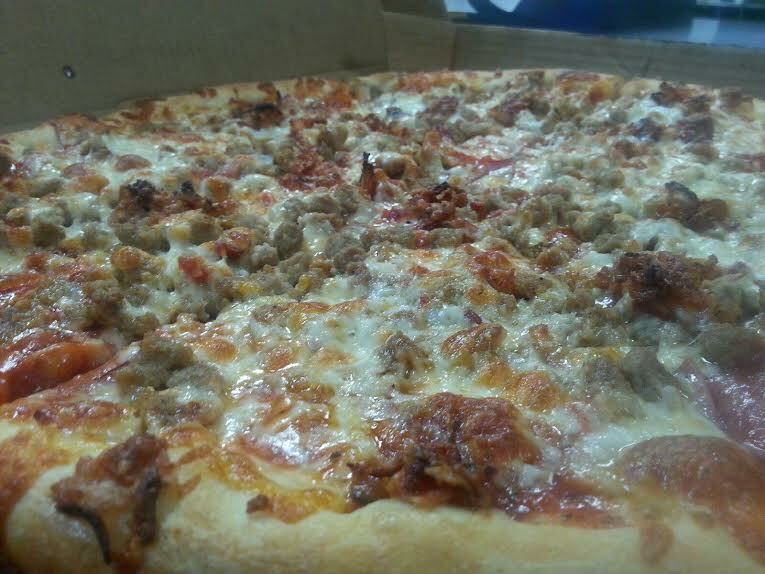 Pepperoni, baked ham, ground beef, Italian sausage, breakfast bacon, and extra cheese! Instead of pizza sauce, try it with BBQ sauce! 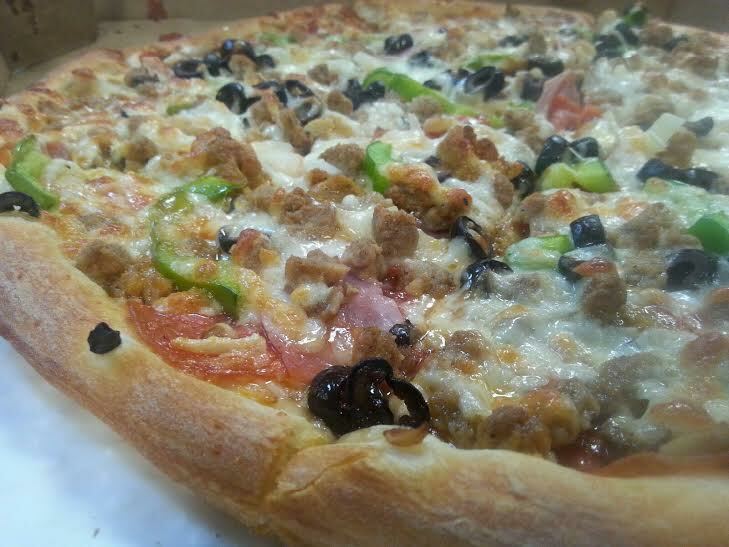 Fresh cut Roma tomatoes, green peppers, onions, mushrooms, black olives, and extra Grande’ cheese! Add feta cheese for a great taste! Banana peppers or jalapenos on request. Flavors: Hot, BBQ, Italian, Oven Roasted, Teriyake or Jamaican Jerk. Served with Bleu Cheese or Ranch dressing. One dressing per 10 wingz. Extra dressing 60¢ or 2 for $1. Green peppers, onions, fresh cut Roma tomatoes on a bed of crisp lettuce with mozzarella cheese, plus choice of dressing. 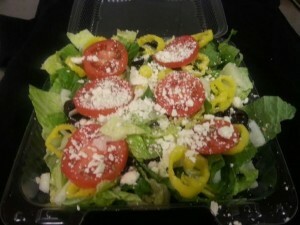 Onions, black olives, banana peppers, Roma tomatoes topped with feta cheese, and balsamic vinaigrette on the side. Green peppers, onions, mushrooms, black olives, pepperoni, baked ham, fresh cut Roma tomatoes, baked ham and cheddar cheese, on a bed of crisp lettuce. Fresh spinach, fresh cut onions, breakfast bacon, fresh sliced Roma tomatoes and topped with feta cheese. Served with balsamic vinaigrette. 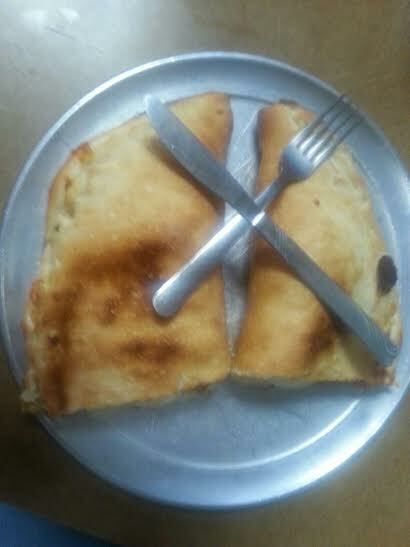 1/2 of a large pizza stuffed with Ricotta, 2 of your favorite toppings, more cheese, and folded over. Served with 2 cups of sauce. Meat lovers, veggie lovers, or deluxe. Served with 2 cups of sauce. Steak, green peppers, onions and mushrooms with mozzarella cheese and a little bit of cheddar cheese sauce. Served with steak sauce or marinara sauce. 2. Pick your favorite topping. 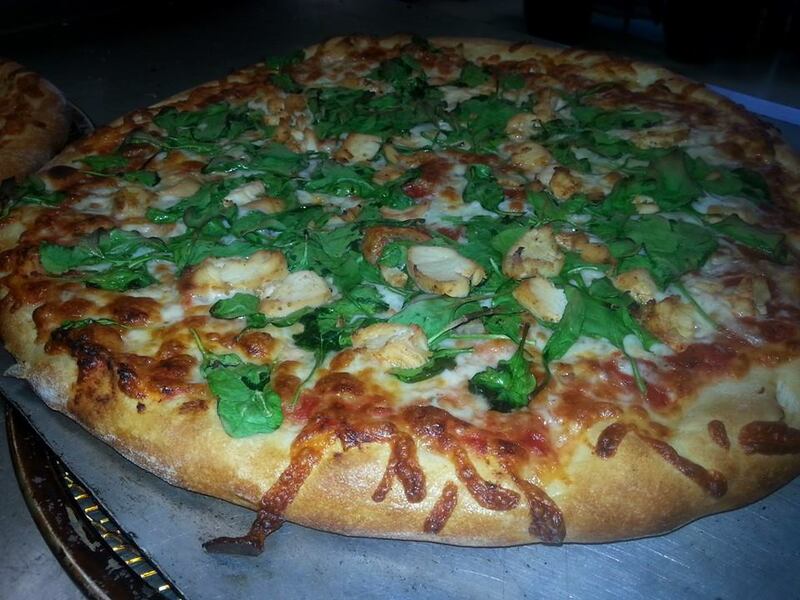 A Perfect way to end your Pizza Perfect experience! First: It starts with our awesome dough! **NEW** New York Cheesecake Pizza! It’s that simple – pizza & cheesecake together. Combined at last! Get strawberries and, or, chocolate chips or blueberries! Soooo Goooooood! *A Perfect Pizza Size Lesson – Our Small Pizza (14”) is a large at the corporate chains! Our Medium (16”) is their extra large! And most don’t even carry our Large (18”) and definitely not our Extra Large (20”)! We put twice the amount of PREMIUM toppings – which all of our toppings are PREMIUM.